Ideal as a gift! Plank, spices and sauce. The perfect resources for the fans of grilling. Ideal as a gift! 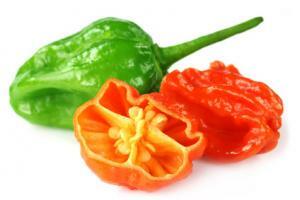 3 must haves with the hottest chilli in the world! Only for real Chiliheads. With this comprehensive BBQ MUST HAVE package you are fully equipped for all BBQ & Grill projects and save a sunny 28% on the unit price! In this BBQ specialty pack you will find 5 participants od the first German 'BBQ Sauce Cooking Award 2016' at a fiery price. This way you can really impress your friends. Gift idea! Six fiery chilicacies from all around the world in a saver package. Perfect for culinary globe trotters! Gifts - spice up your life! Surely you know the following situation: You are invited to a wedding, a housewarming party or just a birthday, and ask yourself for days what the host might like as a gift. After all, it should not just be any present, but an exclusive present which leaves an impression and it really is going to be enjoyed. We at the Pepperworld Hot Shop have been thinking about this for a long time, and put together a phenomenal ensemble of selected items that you cannot miss in any kitchen and make cooking something truly special. Here is something for every budget - great pleasures included. We are your personal Chilli experts. Since we try everything, cook and test ourselves, we are pleased to introduce you today to our exclusive top products - all as a gift set. Here comes the best of the best for every occasion! If you're a passionate BBQ fan, Good luck Grill will be a great gift! Consisting of three high-quality grilling boards made out of cedar wood, which gives the meat a pleasantly aromatic note, this package also contains the authentic spice blend Cajun Dust. The FeuerStreuer not only gives poultry and seafood the right Southern flavor, but it can also be wonderfully used as a universal spice for every dish. Even the smallest snacks become a gourmet dish. West of Texas Smoky BBQ Rub & Spice with a fiery-smoky touch and the associated West of Texas Smoky BBQ Sauce. And since that's not all, we also pack the fine Pepperworld style barbecue mustard and the tasty barbecue sauce Barrel 51 Caribbean Gold Apricot Ginger Glaze with apricot, habanero, ginger and rum on top. The cooking gift Spicy is also perfect for the social eater. 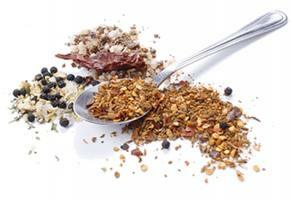 In addition to the popular FeuerStreuer Cajun Dust, there are four other delicious spices in perfect harmony. Experience a Majorcan sea salt with sun-ripened island chilies, which underlines every meal with the Flor de Sal with chilli. The Aromi Piccanti BBQ seasoning mix, a refined grill seasoning mix with fine, medium heat, and the Pimenton de la Vera, a mild, smoked paprika powder, as well as the fiery-smoky West of Texas Smoky BBQ Rub & Spice should not be missing from any kitchen, so make sure not to miss out on in this gift set. It contains the right taste for every occasion. If you want to be even more exquisite you can offer the big Camp Chef Birthday Pack. The 12" Classic Dutch Oven with matching, 12 cast iron pan and lid are the perfect basic equipment for connoisseurs. Our Oh Carolina gift set is perfect for those who love it hot! Or our international top stars of the summer! With the lineup Flor de Sal with Chimichurri, Barrel 51 Robust and Spicy, Barrel 51 Smokin 'Chipotle Ketchup, the FeuerStreuer Memphis Rub, Sambal Chimichurri by Fuego del Sol, Lingham's Extra Hot Chilli Sauce, Lava Jolokia Fiery Mustard, the FeuerStreuer Habanero Extrem, Pepperworld's Cuvee'NO. 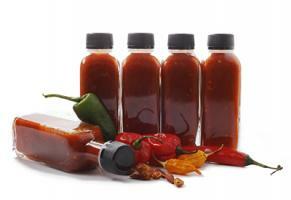 2, the Lava Jolokia Hot Sauce and the Vicious Vampire X-Treme Hot Sauce all in one set are ready for the next season. By the way, in our section "BBQ and Grill" you can find more sets. Our barbecue gifts are packed in a noble, claret-red present box. Please make sure you specify you would like to have it packed as a gift! If that's not enough for you, you have the opportunity to make use of our assortment. Make a personal mix of the finest, spices, oils or sauces for you and your friends. 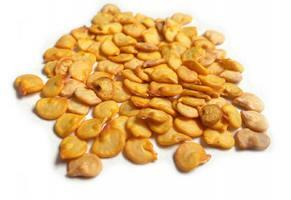 In our shop you will also find exclusive snacks and specialties. Chocolate, jam and wasabi are also included here. Let yourself be inspired, and top it off with a beautiful plant! 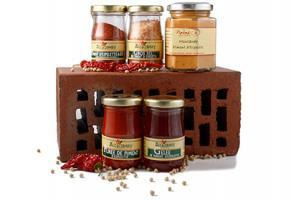 BBQ gifts from Pepperworld are the perfect alternative for anyone looking for something special. 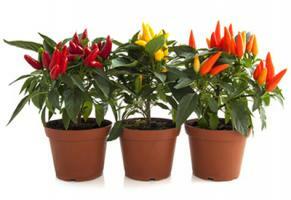 Did you know that besides tomato, pepper and chilli plants, we also cultivate all the seeds? 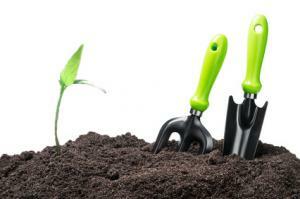 In the right category, you can even find fine herbal and vegetable seeds and the necessary accessories. Thus, you can give away something really meaningful and long-lasting, which is guaranteed to arrive well, right where you need it. Of course, we are always ready to answer any questions, and all hobby breeders will also find exact instructions and tips at Pepperworld. Our plants are carefully packed and come directly to your home as strong young plants. Travel to the South American chili world! Rare Rocoto plants are doing well in every kitchen, and even our pepper plants come from good roots! Far away from the normal supermarket selection you will find a variety that could not be more colorful. Why not offer a whole greenhouse with various plants as a wonderful gift? Take advantage of our low-priced savings sets and offers! No matter how you decide: the fact is, BBQ gifts from Pepperworld are the best alternative to the dusty 08/15 gift basket - those days are gone! The Pepperworld gifts are perfect for any occasion. Whether pre-sorted, individually or individually compiled: With the variety of products from the Pepperworld Hot Shop every connoisseur will find the perfect companion and exclusive gift sets for every occasion. The question of the right gift finally comes to an end!